In the 1950s, present-day Tito’s Park was established at one of the busiest city intersections. It boasts an impressive monument commemorating fallen soldiers by sculptor Vanja Radauš, as well as some ten busts representing national heroes. 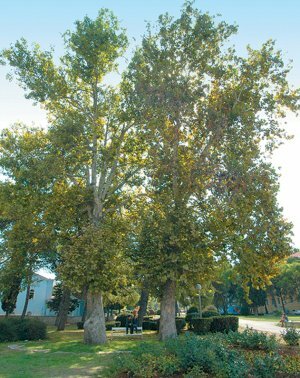 Besides being a memorial park, it is an ideal gathering place under the old plane trees. In the morning hours, many people come here to take a walk or just relax and take a break, but in the evening, you can often hear modern music in the park. The park is also the meeting place for young people and attracts visitors because of its diversity of colors and plants. 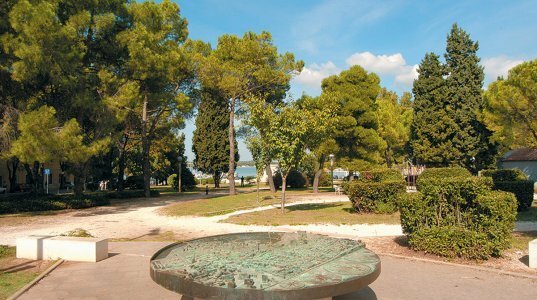 The scale model of the city is the starting point for many visitors setting off on a sightseeing tour of Pula.